Highly sought-after Mainland idol Lu Han (鹿晗) frequently travels around the globe for work, yet, he suffers from a severe fear of heights. It is a battle he needs to fight everytime he has to board a plane. And such was the case on January 9, when he was scheduled to take a 10-hour flight to Europe for work at noon, but his sudden acrophobia attack disrupted his plans. 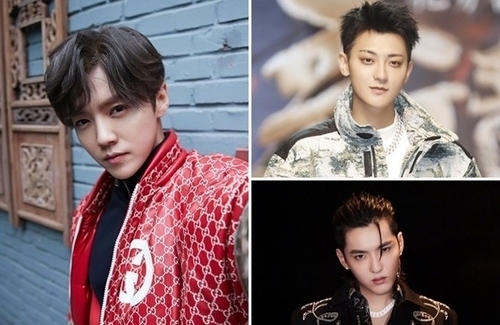 In the end, the 28-year-old star was only able to overcome it two days later with the encouragement of former EXO group-mates Huang Zitao (黃子韜), Kris Wu (吳亦凡), and Keep Running <奔跑吧> castmates Deng Chao (鄧超) and Michael Chen (陳赫). Through the documentary of his European trip, the European Adventure Tour <歐洲冒險之旅>, it showed the hurdles he had to overcome at the time in order to reach Frankfurt, Germany. Lu Han could not get past the fact that the flight was 10 hours long, so when he arrived at the airport, he could not bring himself to get on the plane and ended up leaving. Afterwards, Deng Chao and Michael contacted him to privately comfort him. Usually, Lu Han would have drinks with Lao Gao beforehand before heading to the airport together. Once they get past the airport security, they would head to the lounge to look for alcohol before getting on the plane. However, on the morning of January 10th, Lu Han and his group tried to board the plane again but Lu Han was too nervous and could not do it. Following the second attempt, Zitao and Kris rushed to Lu Han’s aid, persuading him to take the 6 a.m. flight the next morning. On the 11th, Zitao accompanied Lu Han to the airport by car. Lao Gao recalls, “They actually sat in the car for a long time. Suddenly Lu Han opened the car door, exited, and said, ‘Let’s go.’” Lu Han successfully boarded the plane to Germany on his third try. In the documentary, he added text specially thanking his friends for encouraging him. Fans were moved by the fact that his friends came to his aid during a difficult time and remarked their relationship is very good.